Travelling to a big City can be glamorous and LA is all glamour. What better City then a City that has it all. So get dressed up and hit any type of entertainment you are in the mood for. If you’re on a road trip and Los Angeles is on your list of places to go, why not check out our luxury RV’s, travel in style and stop at a few of these must see places that will add a bit of extra luxury to your RV trip. If you’re on a luxury RV road trip, there’s no better road to experience then Mulholland. You can’t visit LA without a trip up to the Hollywood sign. There’s just something so magical about it. Take the RV up and see it in style. The pier, the beach, the people, the luxury. All in one place. What would LA be without the Huntington Library, Art Collections and the Botanical Gardens? How much more luxurious in LA can you get? 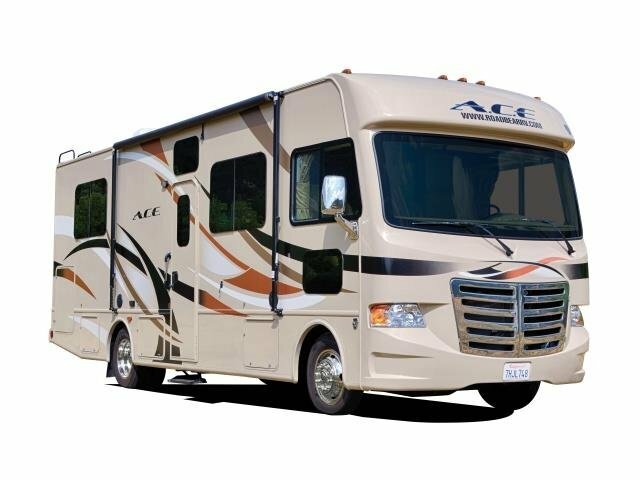 USA RV Rentals has great diesel RV rentals available in Los Angeles California. You may wonder why someone would rent a diesel RV over a gas motorhome. The first reason would be that a diesel RV is going to get better mileage than its gas counterpart. The second would be that diesel RVs have more luxury amenities than gas Class A motorhomes. Diesel RVs are more expensive to rent than gas motorhomes but the extra space inside, extra storage, and upgraded luxury amenities may be worth the extra dollars. Whether you rent a gas or a diesel RV rental from Los Angeles California you will not be disappointed. Have you been thinking about a Class A RV rental from Los Angeles California? If so there are a few things you may be wondering about renting a Class A motorhome. Class A RV’s are usually the largest of the RV’s that we see on the road, but that being said they usually sleep less people than Class C RV’s as they do not have the bed over the driving area. Class A RV’s tend to have a lot of storage and have bright and open interiors. If you are looking for a Class A RV rental from Los Angeles California than check out our quote program for the best prices. Who doesn’t have visions of traveling the country in a luxury RV rental from Los Angeles California? Visiting all the places you have always wanted to see but still having the luxury of going home to your own stuff every night. If this is your idea of a luxury vacation, then check out the RV rentals available from Los Angeles California. Adventure Touring just may have your next luxury RV rental from Los Angeles California. You’re planning for a special occasion and wants to spice things up a notch? Or maybe you want to surprise your special someone with the ultimate road trip getaway? Perhaps you are simply looking for something a bit different from the average motor home rental. Luxury RV’s are the way to go. They have some amazing features and added little extra’s that make your vacation that much more… luxurious. Go big or go home. King size beds can be found in RV’s. There’s nothing like trying to cook dinner or even simply move around and continuing to run into someone. Luxury RV’s boast enough room to comfortably be able to move around and live. A home theater system and surround sound that you wish you had at home. Or perhaps you do and simply can not live without. The luxury RV home theater system, such as the one in the Dutch Star, will not disappoint. The mighty diesel engine makes hill climbing and towing far easier then before. Not to mention a captains chair with all the controls. Outdoor showers, washer/dryers, rear view color monitor systems, extra TV’s, full kitchens and bath’s. Luxury RV’s are your home away from home. Don’t wait, book your luxury RV today with USA RV Rentals.